An undercover investigation has captured representatives from Planned Parenthood facilities nationwide admitting that the organization does not provide prenatal care for pregnant mothers, but that “we specialize in abortions”—directly contradicting claims from Planned Parenthood’s leadership that the organization offers pregnancy care. She also stated in a 2016 speech endorsing Hillary Clinton that America needs “a president who will fight for prenatal care,” as if the organization offered such services. But the group Live Action, which released its investigative findings in a video on Monday, called and/or visited 97 Planned Parenthood locations across the United States to see if such assertions are true, and found the exact opposite. It recorded the interactions as proof. In each instance, the undercover representative contacted the facility to request an appointment for prenatal care, but was turned away nearly every time, being advised that no Planned Parenthood offers such services. “Planned Parenthood offers abortions, so they don’t offer prenatal care,” a facility representative from Tempe, Arizona advised. “We’re not a prenatal care provider,” answered an employee from Fort Collins, Colorado. “No Planned Parenthood does prenatal care,” a woman from the Albany, New York facility outlined. “We don’t offer prenatal care at Planned Parenthood. We specialize in abortions. 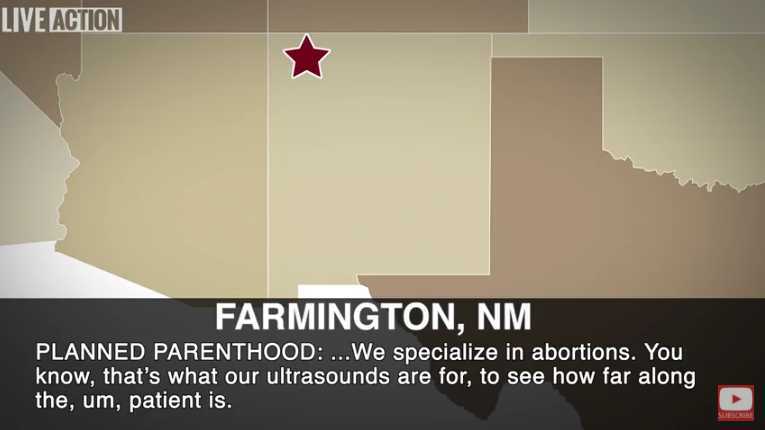 You know, that’s what our ultrasounds are for—to see how far along the patient is,” a representative in Farmington, New Mexico explained. “We tell you you’re pregnant, and then we offer at Planned Parenthood to do the abortions,” advised a representative from the Ithaca, New York Planned Parenthood. Live Action found after contacting nearly 100 facilities across the United States that only five locations offered any type of prenatal services. The video already has over two million views on Facebook as of press time. As previously reported, according to the organization’s annual report, Planned Parenthood performed 323,999 abortions nationwide during the 2014-2015 fiscal year. It has not yet released its 2015-2016 report for unknown reasons. As it has been in previous years, Planned Parenthood’s largest focus in 2014-2015 was sexually transmitted diseases (STD’s), as it tested and/or treated over four million people for sexual ailments, with over 3.5 million tests and 32 thousand men and women being treated for ailments contracted through sexual activity. Over 2.9 million people were provided with contraceptives or other forms of birth control in 2014—from temporary to permanent, including over 900 thousand emergency contraception kits. The figure is down from 3.5 million the year before, and 3.7 million in 2012. Planned Parenthood does not provide mammograms as it is not licensed to operate mammogram machines, and its annual report outlined that fewer than 700,000 women received services surrounding cancer screenings, equating to just seven percent of its services, while STD testing and contraceptives accounted for 76 percent of its services. In addition to not providing prenatal care, postnatal services are not offered by the organization either.